This semi-automatic defibrillator, the Powerheart G5 with CPR Device, is a powerful life saving, shock giving device. 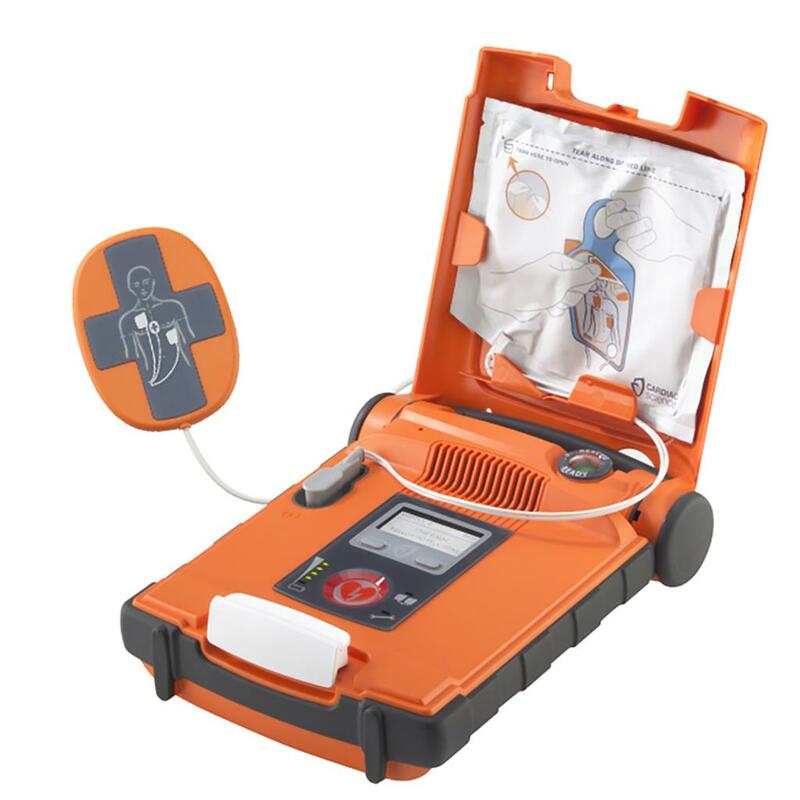 This semi-automatic defibrillator, the Powerheart G5, is a powerful life saving, shock giving device. 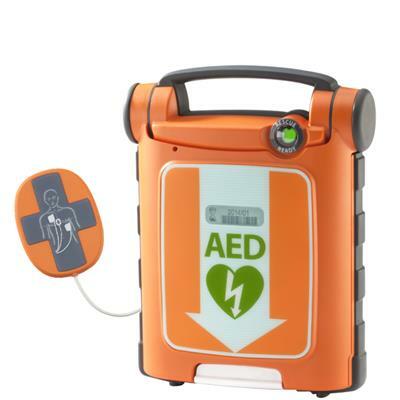 This defibrillator is the first AED that combines variable escalating energy for customised patient therapy along with fast shock times and real-time CPR feedback. It is ready to go whenever you need it with a durable design tested to military standards and an IP55 rating for protection from dust and water. The highly visible Rescue Ready® indicator confirms your G5 passed rigourous daily, weekly and monthly self-test. It has customisable protocols and easy USB data transfer. The CPR Device helps a rescuer give CPR that is consistent with Resuscitation Guidleines, so even first-time rescuers can deliver life-saving CPR. The Powerheart G5 AED automatically recognises and syncs with this easy-to-use device, providing clear instructions and real-time feedback. The CPR Device comes pre-attached to the Adult Defibrillation Pads to save critical time in a rescue. 2 Pairs of Adult defib pads with CPR device.